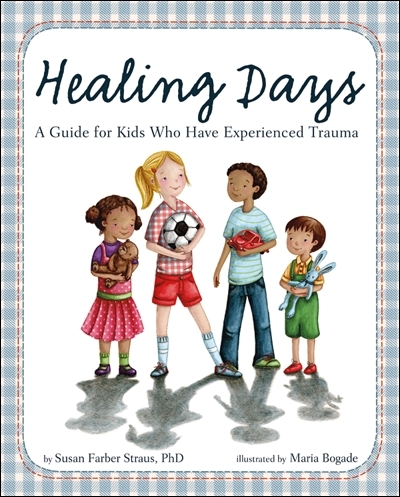 From the Book Jacket: Healing Days is a sensitive and reassuring story intended for children who have experienced trauma and covers the feelings, thoughts, and behaviors that many kids have after a bad and scary thing happens. teaches kids about "fight, flight, or freeze"
My Safety Plan (I write these with kids ALL the time. So I love how this is reinforced). My Feel-Good Plan - Another great tool to use with kids. Healing Days does not reference a concrete traumatic experience. It leaves it open to the reader to relate their own experience to the feelings going on. Breathing and practicing yoga are also discussed as tools to help kids. I appreciate how the author took the time to really explain to kids what these coping mechanisms are and how to use them. It's WELL written. I just absolutely love it and will be recommending it to ALL my counselor friends. It's definitely geared towards kids who are going to be working directly with a therapist. But even if a child is not seeing a therapist - it can STILL be used to help you guide kids towards healing. You can be creative with the words.